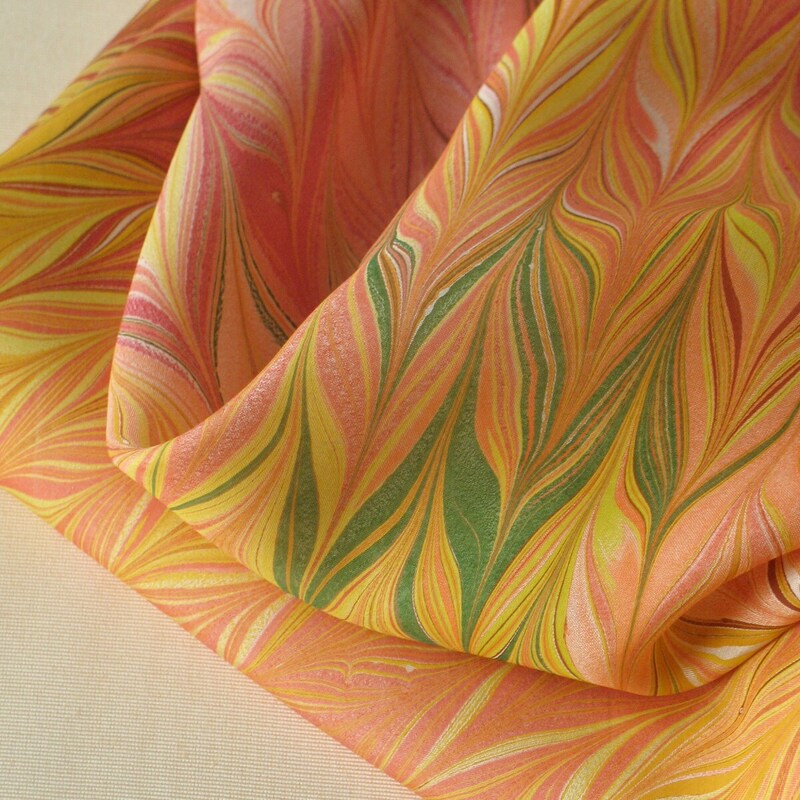 Silk Scarf Autumn Hued Hand Marbled Square from Brooklyn Marbling- Free Shipping in the USA! 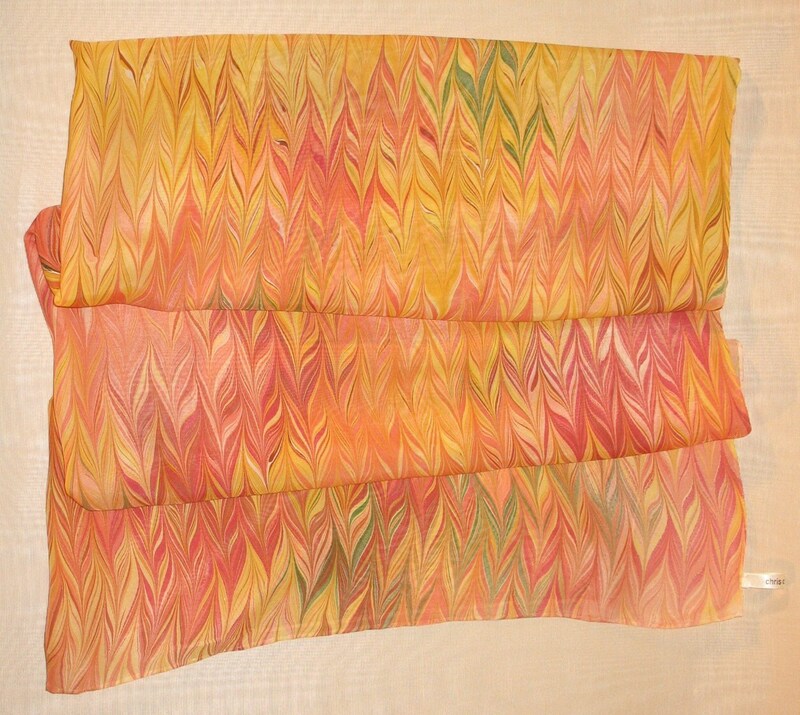 Walking down the tree lined Brooklyn street I live on in Autumn inspired this dynamic fiery scarf. 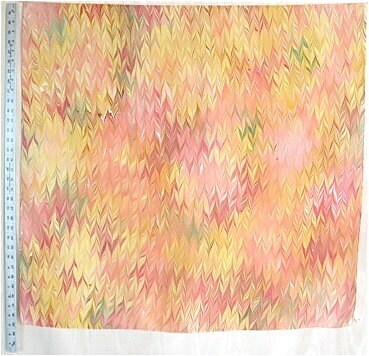 This beautiful scarf measures 35"x35" (90cm X 90cm) and is big enough to fold in half and cover your head. It can also be tied in a variety of ways. 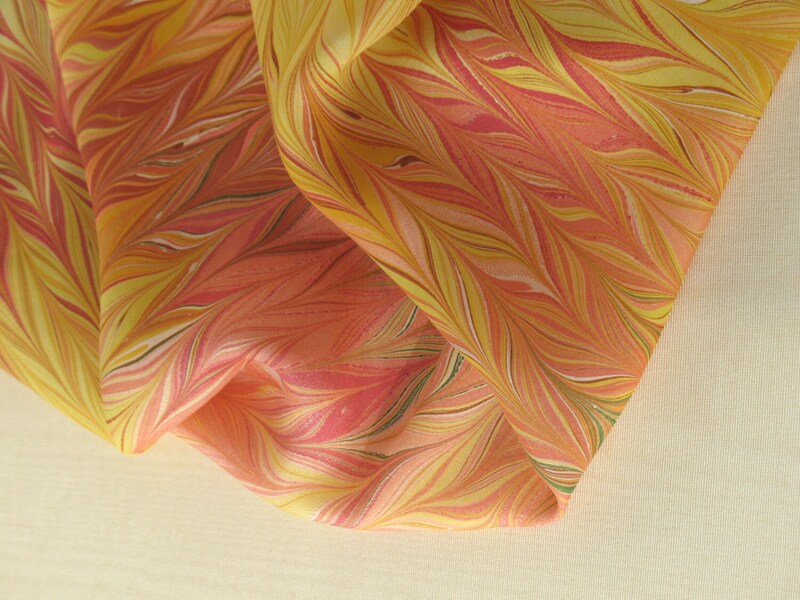 The edges are finished with a hand rolled hem.